“A Celebration of Harry Potter” returns to Universal Orlando the weekend of January 26-28, 2018, with events and stars from the stories of J.K. Rowling. 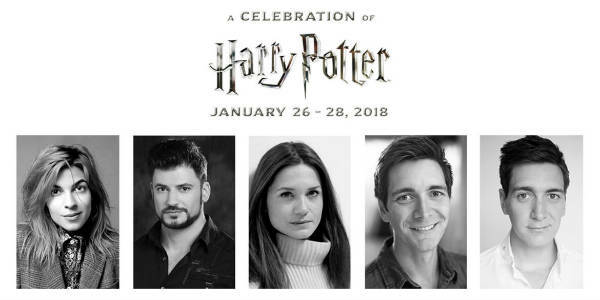 For the first time in event history, Stanislav Yanevski (Viktor Krum) and Natalie Tena (Nymphadora Tonks) will attend and participate in festivities throughout the weekend, alongside returning fan-favorites James and Oliver Phelps (Fred and George Weasley), and Bonnie Wright (Ginny Weasley). Park admission is required to experience “A Celebration of Harry Potter.” Guests will need a Park-to-Park Ticket to experience all of the event elements. Upgrade your experience with a vacation package. On-site hotel packages start at $285 per adult per night, including tax, and include exclusive benefits such as special guest access to the Harry Potter Expo, admission to a private evening reception in The Wizarding World of Harry Potter, special access to panels and demonstrations and special access to new Workshops. Select event activities are on a first come, first served basis. Event occurs rain or shine. For more information on this event, or to purchase admission and packages, visit universalorlando.com.